Zeng, M.A., Koller, H., Jahn, R. (2019): Open Radar Groups: The Integration of Online Communities into Open Foresight Processes. Technological Forecasting and Social Change, 138, 204-217. Edel, J., Koller, H. (2018): Fostering Collaboration in New Product Development – (Roles of) Coordinating Organizations in Innovation Networks, Proceedings of the 25th Innovation and Product Development Management Conference, Porto, Portugal, June 10-13, 2018. ISSN 1998-7374. Jahn, R. (2018): Motivation and value contribution in collaborative open foresight: A multiple case study in the sectors of renewable energy, life science and aviation, Proceedings of the 25th Innovation and Product Development Management Conference, Porto, Portugal, June 10-13, 2018. ISSN 1998-7374. Zeng, M.A. (2018): Foresight by Online Communities – The Case of Renewable Energies. Technological Forecasting and Social Change, 129, 27-42. Jahn, R., Koller, H., Zeng, M.A. (2018): Collaborative foresight: Insights from a renewable energy cluster in Germany, Book of Abstracts of the 19th Futures Conference by Finland Futures Research Centre “Energizing Futures”, Turku, Finland, June 13-14, 2018. ISBN (print): 978-952-249-500-6, ISBN (pdf): 978-952-249-501-3. Nowak, K., Koller, H., Gross, D.-G., Andresen, F., Kreutzmann, A. & Schulte, B. (2016): Influence of Moderation on Communication in Communities of Practice in Hierarchical Organizations. Proceedings of the 17th European Conference on Knowledge Management, Belfast, UK, 01.-02. September 2016. ISBN 978-1-911218-02-9. Schulte, B., Koller, H., Andresen, F., & Kreutzmann, A. (2016). How to Manage the Unmanageable? Leadership in Coping with Communities of Practice. Proceedings of the 17th European Conference on Knowledge Management, Belfast, UK, 01.-02. September 2016. ISBN 978-1-911218-02-9. Andresen, F., Koller, H., Kreutzmann, A., & Schulte, B. (2016): Modeling of Self-organized Structure and Culture Creation within Communities of Practice. Presented at the 76th Annual Meeting of the Academy of Management Conference, Anaheim, CA, USA, 05.-09. August 2016. Schulte, B., Koller, H., Andresen, F., & Kreutzmann, A. (2016). The Conjunction between Communities of Practice and their host Organization – A cultural Perspective. Presented at the 76th Annual Meeting of the Academy of Management Conference, Anaheim, CA, USA, 5.-9. August 2016. Andresen, F., Koller, H., Kreutzmann, A., & Schulte, B. (2016): Understanding Core Principles of Communities: Shared Mental Models and Transactive Memory Systems as Preconditions for Self-organized Coordination. Presented at the 14th Open and User Innovation Conference, Boston, USA, 01.-03. August 2016. Kreutzmann, A., Koller, H., Andresen, F., & Schulte, B. (2016): Communities of Practice as Loci of Unrecognized Lead Users. Presented at the 14th Open and User Innovation Conference, Boston, USA, 01.-03. August 2016. Zeng, M. A. (2016): Foresight by Online Communities – The Case of Renewable Energies. Presented at the 14th Open and User Innovation Conference, Boston, USA, 01.-03. August 2016. Andresen, F., Schulte, B, Koller, H., & Kreutzmann, A. (2016): The Informal Machine oft he Company: Communities of Practice as a Self-organized Source of Flexible Adaptation. Presented at the 32nd European Group for Organizational Studies Colloquium, Naples, Italy, 07.-09. July 2016. Kreutzmann, A., Koller, H., Andresen, F., & Schulte, B. (2016): Communities of Practice – Vibrant Sources of Innovative Knowledge? Proceedings of the 23rd Innovation and Product Development Management Conference, Glasgow, UK June 12.-14., 2016. ISSN 1998-7374. Zeng, M. A. (2016): Foresight by Online Communities – The Case of Renewable Energies. Proceedings of the 23rd Innovation and Product Development Management Conference, Glasgow, UK June 12.-14., 2016. ISSN 1998-7374. Andresen, F., Koller, H., Kreutzmann, A., & Schulte, B. (2016): Making Sense of the Informal: Conceptualization of a Model of Self-organizing Structure and Culture Creation within Communities of Practice. Proceedings of the 16th European Academy of Management Annual Conference, Paris, France, 01.-04. June 2016. ISSN 2466-7498. Kreutzmann, A., Koller, H., Andresen, F., & Schulte, B. (2016): Communities of Practice as an Enhancement of Dynamic Capabilities. Proceedings of the 16th European Academy of Management Annual Conference, Paris, France, 01.-04. June 2016. ISSN 2466-7498. Schulte, B., Koller, H., Andresen, F., & Kreutzmann, A. (2016). Guided by the Light: The Conjunction between Communities of Practice and their host Organization – A cultural Perspective. Proceedings of the 16th European Academy of Management Annual Conference, Paris, France, 1.-4. June 2016. ISSN 2466-7498. Zeng, M. A. (2014): The Contribution of Different Online Communities in Open Innovation Projects, In Proceedings of the 10th International Symposium on Open Collaboration (OpenSym 2014). ACM Press, 2014. Zeng, M. A. 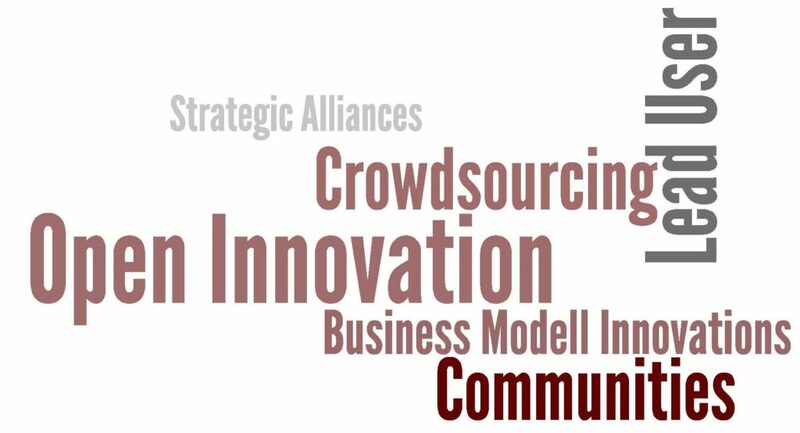 (2014): The Contribution of Different Online Communities in Open Innovation Projects, 12. Internationale Open and User Innovation (OUI) Konferenz an der Harvard Business School in Cambridge (USA), 28.-30. Juli 2014. Langmann, C. (2009): F&E-Projektcontrolling. Eine empirische Untersuchung der Nutzung von Controllinginformationen in F&E-Projekten, Wiesbaden. Hölzner, H.M. (2009): Die Fähigkeit des Fortschritts im Strategischen Management. Eine organisations- und wissenschaftstheoretisch fundierte Erweiterung des Konzepts dynamischer Fähigkeiten, Wiesbaden. Winata, L./Mia, L./Langmann, C. (2008): Strategic alliance, information and communication technology and firm performance: An empirical study, Working Paper, Griffith University, Brisbane 2008. Langmann, C. (2007): Mit Aktienoptionen gewinnen, in: Personal – Zeitschrift für Human Resource Management, 10/2007, S. 20-24. Langmann, C. (2007): Stock Market Reaction and Stock Option Plans: Evidence from Germany . In: Schmalenbach Business Review , Januar 2007, S. 85-106. Hentschel, M. (2007): Patentmanagement, Technologieverwertung und Akquise externer Technologien – Eine empirische Analyse, Wiesbaden. Langmann, C. (2006): The Scope and Source of Management Accounting Information used in Research and Development Projects – Antecedents and Performance Effects, PhD-Proposal präsentiert an der Griffith Business School, Department of Accounting, Finance & Economics, 15. September 2006 (Paper verfügbar auf Anfrage). Langmann, C. (2005): Leistungsorientierte Bezahlung – Vergütung im Kursbereich. In: Bodylife: die Fachzeitschrift für die Fitnessbranche, 8 (2005), S. 40-42. Langmann, C. (2005): Investitionsentscheidung unabhängig von Aktienoptionsprogrammen. In: Börsenzeitung Nr. 138, S. 31. Langmann, C. (2005): Kapitalmarktreaktion auf die Einführung von Aktienoptionsprogrammen, Hamburg 2005. (Rezension im Newsletter 02/2007 der Gesellschaft für innerbetriebliche Zusammenarbeit GIZ).